Vancouver Island is an ocean, beach and resort getaway with a wide selection of activity and outdoor attractions year round. Vancouver Island, BC, Canada measures 500 Kilometres (300 miles) long by 160 Kilometres (100 miles) wide. It is the largest island of 6000+ islands located off the west coast of British Columbia, Canada. It is also the most developed island providing the most services including adventure companies and accommodations on the coast. What are the Accommodations, Services and Amenities on Vancouver Island, BC Region? Vancouver Island places to stay, accommodations, services and amenities important to travelers. The places to stay include accommodations like resorts, hotels, motels, inns, bed and breakfasts (B&Bs), vacation homes, cottages, cabins, lodges, campgrounds, RV Parks and hostels. 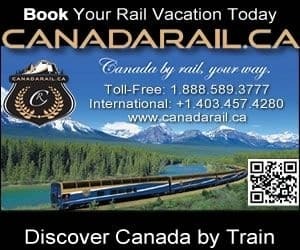 The services and amenities includes spas, tours, guides, outfitters, attractions, big box stores, rental shops, nightclubs, restaurants, laundromat, coffee shops, wineries, breweries, casino, grocery stores, pubs, liquor store, banks, gas station, gift stores, internet service and transportation services like airports, BC Ferry , car rentals, taxi and bus services. Activities most enjoyed on Vancouver Island include boating, sailing, fishing, golfing, camping, mountain biking, hiking, backpacking, beachcombing, ocean and river kayaking, cycling, canoeing, scuba diving, wildlife watching, surfing, and downhill skiing, snowboarding and xc skiing. A few of the more popular activity and adventure park and trail destinations located on Vancouver Island includes the Strathcona Provincial Park (Courtenay), Mt. Tzouhalem (Duncan), Newcastle Island Provincial Park (Nanaimo), Cathedral Grove-MacMillan Provincial Park and Della Falls (Port Alberni), Beacon Hill Park (Victoria), Wild Pacific Trail (Ucluelet), Pacific Rim National Park Reserve of Canada (Tofino and Ucluelet), Chesterman Beach (Tofino), West Coast Trail (Port Renfrew and Bamfield), Cape Scott Provincial Park (Port Hardy) and Elk Falls (Campbell River). Some of the most visited sightseeing attractions, art galleries, historical sites and cultural venues on Vancouver Island includes the Fisgard Lighthouse National Historic Site, Emily Carr House, Royal British Columbia Museum, Craigdarroch Castle, Chemainus Murals, Pacific Marine Circle Route, Haig-Brown House and the Amphitrite Point Lighthouse. Explore Vancouver Island, British Columbia, Canada Travel Guide for Places to Stay, Attractions and Adventure.